Symetrica specialises in the detection and identification of radioisotopes for Security Applications. They work with prime contractors and government agencies to design, develop, test and deploy detection equipment for use by law enforcement personnel, customs officers, the emergency services, military personnel and first responders. 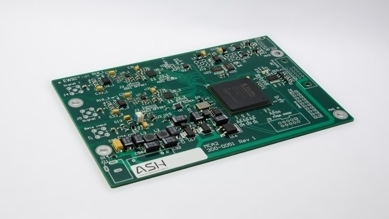 “ASH are a small, very responsive, electronics/firmware development company who rapidly produced an initial prototype circuit board within days of being briefed about our urgent needs... Since that initial contact with ASH, we have used their design and prototype assembly skills on several occasions to provide support to our R&D team.